Team Fortress 2 (TF2) recently became "free to play", with non-paying players (players who didn't previously own TF2, and haven't yet made a purchase on the TF2 item store) being restricted from trading and crafting, which are two of the primary means of gaining additional items/weapons without waiting for random "drops". Read below as I explore the rational behind this move and the TF2 community's reactions to it. 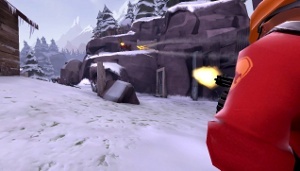 The "free to play" (F2P) move has angered a large portion of the TF2 community (which is still numerous, strong and enthusiastic after four years - something very few other multiplayer games can claim), with many players discriminating against F2P players, and some server admins implementing auto-kick and auto-ban plugins to prevent F2P players from being able to play. The justifications for these sorts of actions range from assumptions that all F2P players are cheaters or people exploiting the system, to protesting the F2P movement, to "keeping the Halo noobs out". TF2 may not have had the most welcoming of communities before, but currently, I am witnessing more in-game abusive behaviour and open hostility than ever before. How can we attract a larger Steam user base (Steam is an online store, content delivery and social gaming platform created by Valve to sidestep retail outlets and enter the publishing industry)? How can we explore the "free to play" market in a more commercially sustainable way than Alien Swarm (Valve's previous zero-cost game)? How can we boost Team Fortress 2's community without committing significant development resources to what the industry would consider an ancient game? I spotted an interview with Robin Walker, developer of the original Team Fortress Quake mod and key mind behind the current incarnations of Team Fortress, where he talked about some of the justifications for the change in business model for TF2. It seems obvious that Valve are recognising that by providing non-paying customers with a positive playing experience, they are not only likely to create a good enough impression to turn them into paying customers, but they are also able to enhance and grow the paying community. Whilst this reflects the style of long-term vision an willingness to try unorthodox methods, the F2P rollout is being hindered by the attitudes of the very community it is meant to bolster. To understand the problem, some context is necessary. Team Fortress is a game that is more about understanding how to function within a team than anything else. It takes a fair degree of insight and experience to understand the class dynamics and how to use them effectively to both counter the opposing team and complement your own. Prior to the F2P update, in part because of the game's vintage, one could normally expect that when they joined a game, they'd be playing with a team that was mostly comprised of experienced, if not seasoned players. 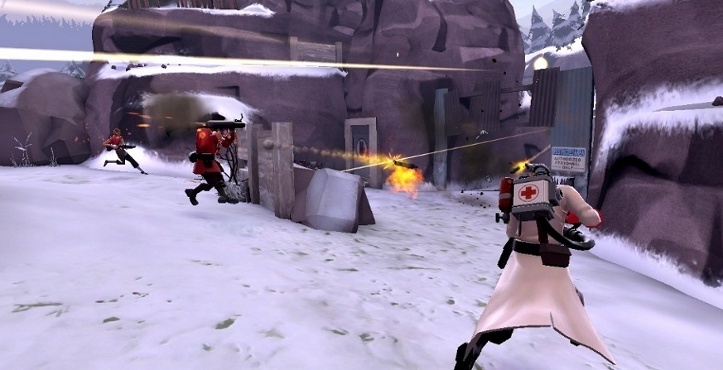 TF2 players would generally have only had to deal with a couple of newcomers at a time, where generally speaking, a team of 8+ players would show a single new person the ropes, and after a couple of rounds, they'd be able to function as part of the team. 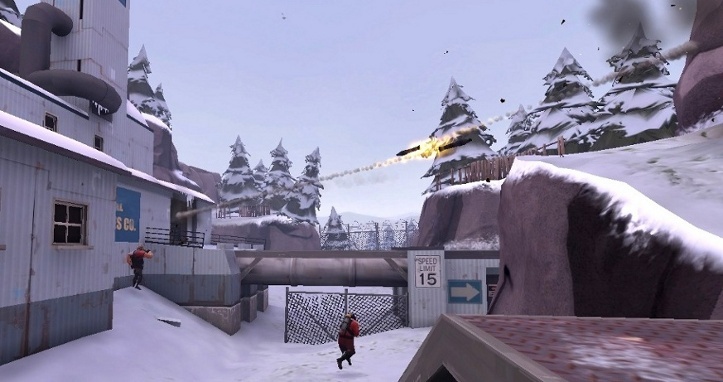 With it being difficult to find not only online servers, but also players for many games of TF2's age, it seems hard to argue against the idea that non-paying players can enhance rather than diminish paying players' experiences, but nevertheless, the TF2 community has been rocked by the mass influx of new players. We have more simultaneous inexperienced players than ever before, and we do not know how to handle it. 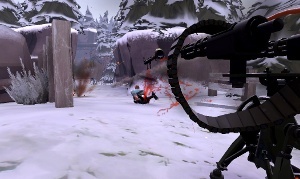 In the lead up to the F2P announcement, Valve implemented several features to assist with the training and coaching of new players, allowing experienced players the opportunity to spectate a willing new player's game and provide one-on-one coaching, but it is hard to see how these features can be as effective as the kind of learning new players would get from an entire team providing pointers, feedback and behaviours to copy. 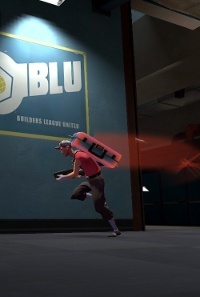 In some ways, the TF2 community has reverted to its initial state following its release, a time when nobody knew how to play. It will take some time for the new players who aren't really interested in investing the time it takes to master a class to drop away. It will take a while for the new players to become as experienced as we could previously expect most players to be. The dominant attitudes and behaviours at the moment are driving a rift down the middle of this new community, not only slowing down the process of integrating the new player base, but also undermining the intentions of the F2P launch and cut the wider TF2 community off from the potential benefits that it can bring to the game. Yes it can be frustrating to be on a team full of people who don't understand how to work together, but it doesn't have to be a negative experience. This is a fantastic time to make friends, earn respect and, at the very least, get some easy points. There are few experiences as rewarding in TF2 as using a bit of communication and rally a dysfunctional team together. As experienced players, we have skills to share. There's no reason to hoard your experience so that you can look down on others - in this game (and life in general, I think) it is far more gratifying to be an average player on a decent team than a decent player on a mediocre team. It's up to us to set an example for appropriate behaviour within the community, and I don't think that telling F2P players that they should shut up and be thankful for what they have, or treating them as though they're not a part of the community is really going to help things at all. If you're looking for a team based FPS, or have considered TF2 in the past, you could do a lot worse than give it a try. Keep in mind that TF2 is more about teamwork, that it takes time to master the subtleties of any given class/weapon, and don't let the current climate be discouraging. Thanks for reading! This article originally started as a response to an anti-F2P thread on the Steam (Powered) User Forums. That thread has since been deleted, but I got enough feedback to my post to consider keeping it alive. I've been playing Team Fortress 2 since October 2007 according to my Grizzled Veteran badge, and its design, dynamics and community have always fascinated me. Whilst there is no doubt in my mind that the free-to-play move will benefit the TF2 community in the long run, it's obvious from the venomous reactions that there has been at least some short term damage done. I'm looking forward to seeing how this radical change to TF2's player base pans out over the next six months and might even do a retrospective article then. 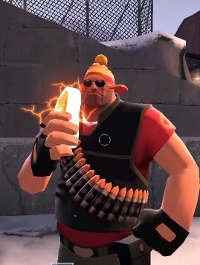 I don't play a lot of TF2 at the moment, but when I do, I'm always happy to play with new people. 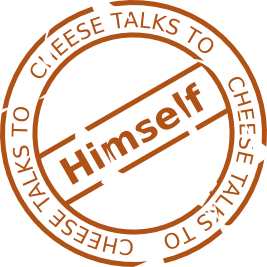 For anybody who wants to look me up, my steam id is "cheeseness". This article was first published on the 14th of July 2011. Valve, Steam, Team Fortress, the Team Fortress logo are trademarks and/or registereda trademarks of Valve Corporation.